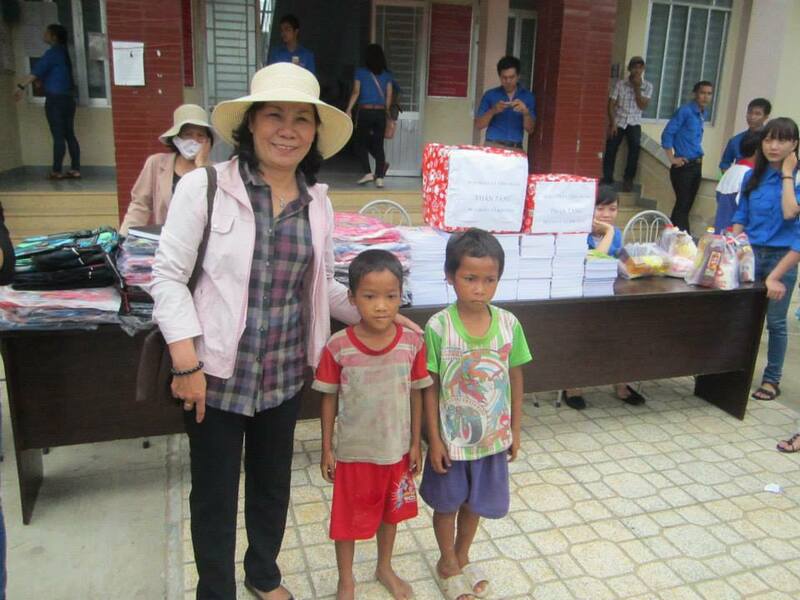 On August 2, 2014 our lead coordinator, Hiep, joined a kind-hearted group in making donations to a poor village west of Nha Trang. 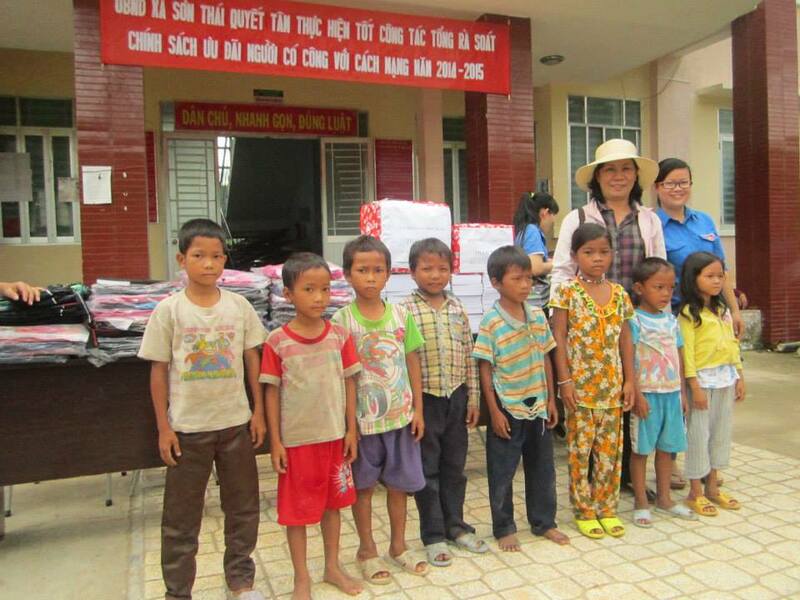 Hiep had learned that a group of students from the Vinh Ngoc community, where she lives, intended to travel into the mountains west of Nha Trang to bring aid to the ethnic minorities living there. This effort was let by the Vinh Ngoc Youth Union. 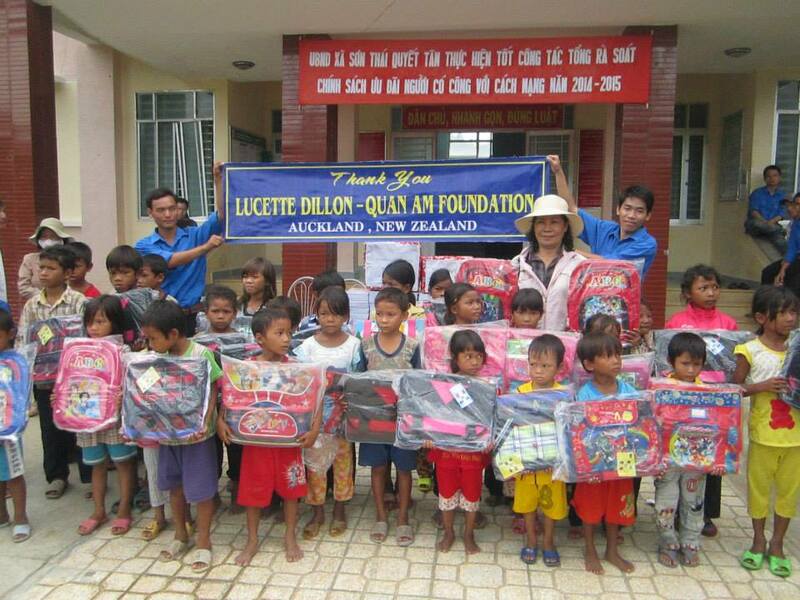 Hiep reached out to family and friends to contribute to this amazing cause, and Lucette Dillon of the Quan Am Foundation made a very generous donation to benefit the children of the village. The group loaded up vans and made their way into the hills of Khanh Vinh district, and their ultimate destination of Son Thai village. 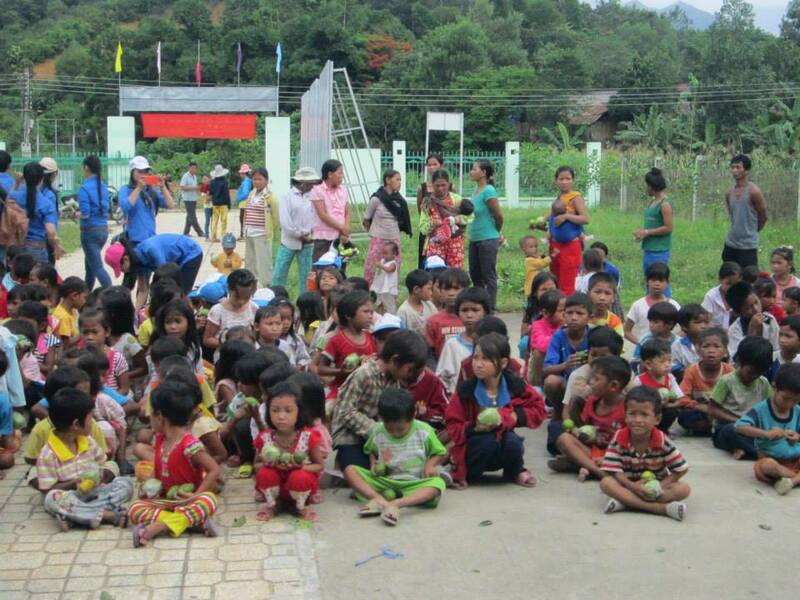 The trip was well organized from the outset, and the poor families of the village gathered in the main square to receive the donations. 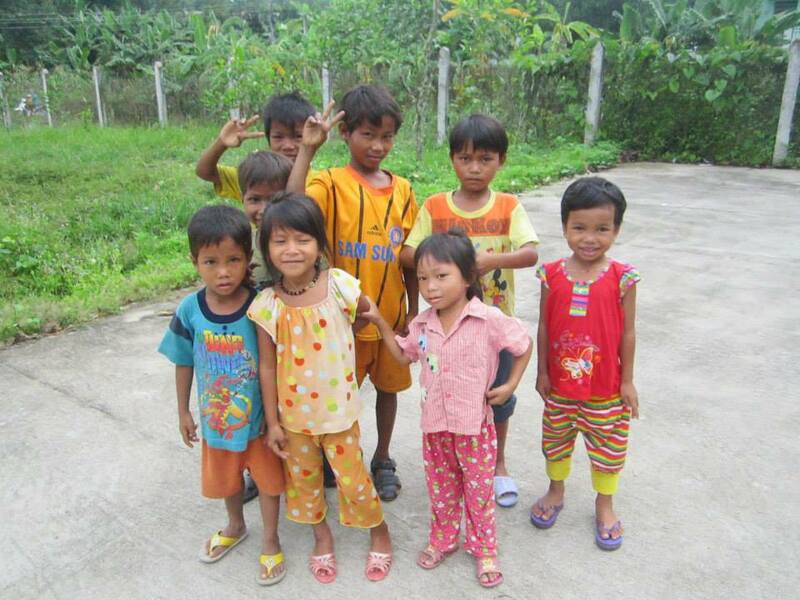 The Quan Am Foundation provided 40 school bags and 300 notebooks for the children of the village, and the Youth Union handed out clothes, fruit, and paid the school fees for the children. 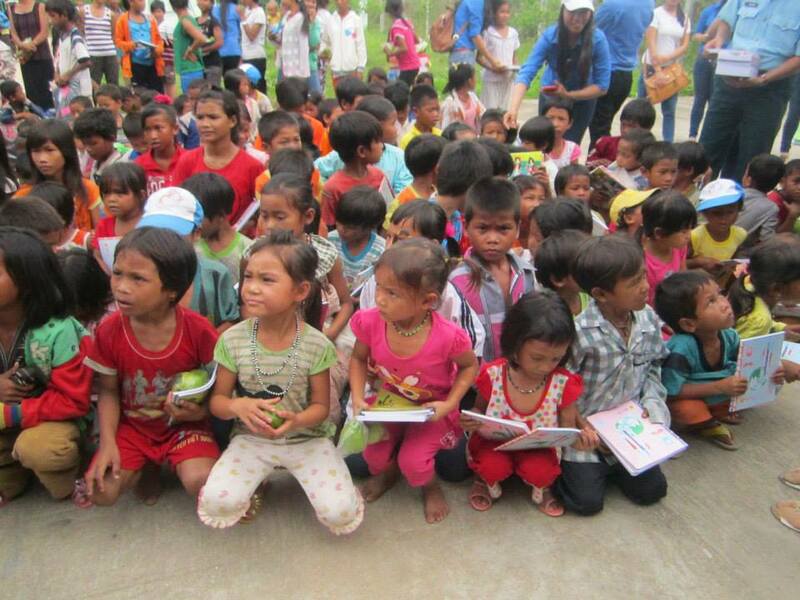 It was a loving visit to one of Vietnam’s poorest communities. 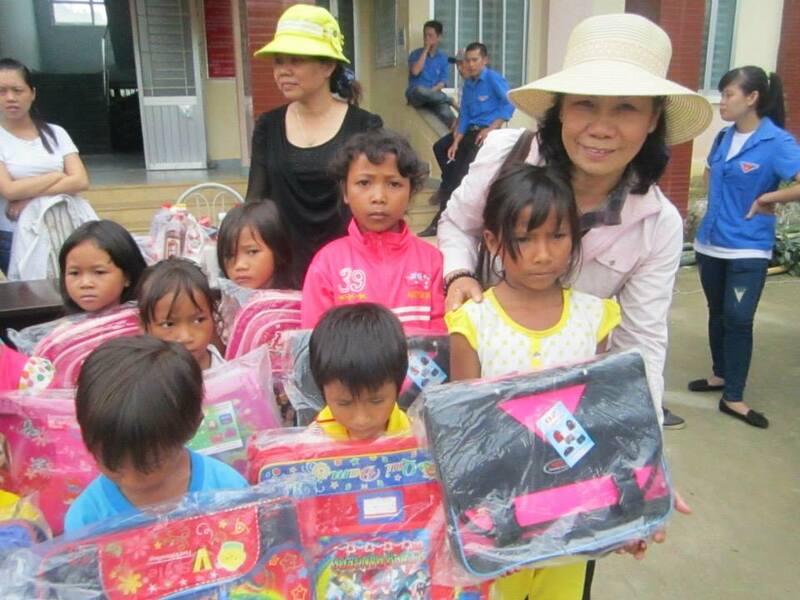 Thanks to the students of the Vinh Ngoc Youth Union for organizing the trip, our lead coordinator Hiep for raising more funds entirely on her own, and Lucette for her continued kindness to the children of Vietnam.